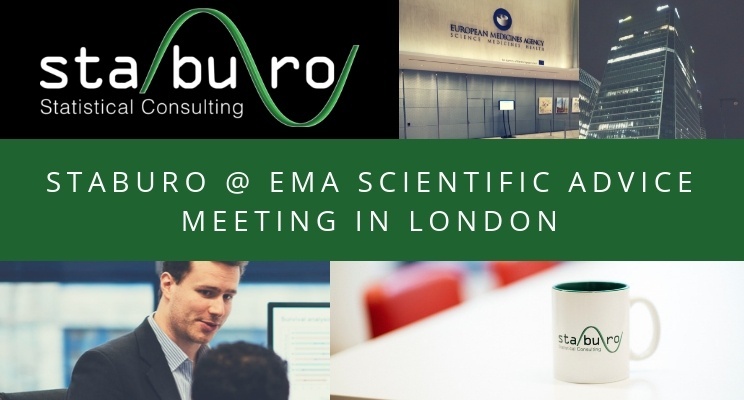 Staburo Managing Director Josef Höfler visited the European Medicines Agency (EMA) in London to have a scientific advice meeting, for a client’s clinical development project. Statistical concepts for adaptive designs with sample size re-assessment were commented by EMA’s experts during the meeting. Furthermore, the pivotal study design with respect to the statistical analyses was discussed. The input from EMA experts was very valuable to increase the chance for less questions from the authorities during the market authorization process – provided that the trial results will be positive.